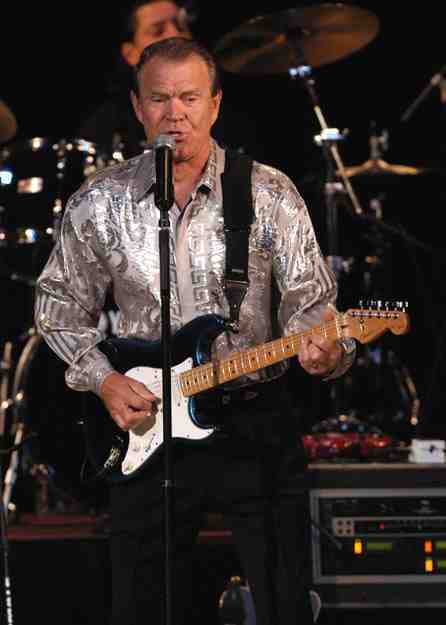 Glen Campbell - Ghost On The Canvas. Ok, I am fully aware that this is supposedly a blog based around sports topics and my writing exploits, but occasionally I veer off topic somewhat, especially when I feel the need. Yesterday it was having a poke at Edwina Currie in particular and the Conservative coalition government in general (not difficult); today it is applauding a greatly loved Country Music legend and his marvellous new album. 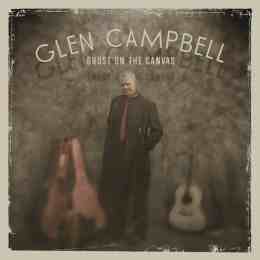 Yesterday I downloaded Glen Campbell’s new(ish) album, “Ghost On The Canvas”, from Amazon. A long way down the line from "Rhinestone Cowboy" and "Wichita Lineman", the one time movie star (do you remember him starring with John Wayne and Kim Darby in the original big screen version of "True Grit?") has come back to prominence with a fine collection of new songs. Having heard the odd track or two of his new set on the radio and being a bit of a fan over the years, I forked out the grand sum of £5.99 and, to be honest, I consider it to be up with the best I have heard this year. There is not a below par track on the whole album, with Beach Boys “Pet Sounds” reminiscent short musical interludes interspersed between some superb productions (in the 60’s he did tour with the Beach Boys and also played guitar on the aforementioned classic album). Campbell has stated that due to his Alzheimer’s disease diagnosis, this will more than likely to be his last full studio album set, although has left the door open for some future recording should his health remain. His voice seems as velvety as ever and is shown to full effect on the marvellous title cut, which has been gaining much radio airplay of late. With 2 bonus tracks included on the Amazon (and i-Tunes) downloads, possibly the outstanding offering is the utterly brilliant “There’s No Me... Without You” – a true musical masterpiece. The Brian Setzer guitar work is worth the money alone. Now 75 and completing a final world tour, Glen Campbell has brought back past memories of many of his great songs with this album, of which cannot be recommended highly enough. Labels: Ghost on the Canvas, Glen Campbell. 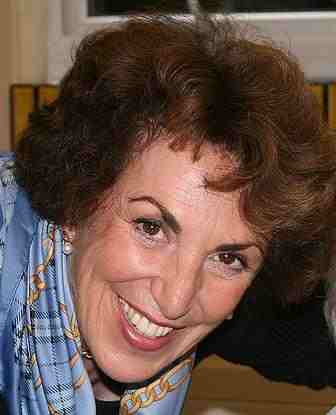 Edwina Currie Believes Nobody in the UK is Starving! One of the most listened to clips on BBC i-player this weekend was a ridiculous comment by former Conservative MP and, at one time Government Minister Edwina Currie. Now she's been voted off Strictly Come Dancing (and a good thing too), she obviously has little else to do than sprout stupid uninformed clap-trap on late night radio talk shows. Speaking on the Stephen Nolan programme on BBC Radio 5 Live (required listening in my humble opinion), the now radio pundit, best known for her "all eggs contain salmonella gaffe" and her affair with former grey Tory PM John Major, was discussing an item where it was claimed that some people in this country had the choice between keeping themselves warm or eating this coming winter. She stated that she did not believe any Brits were starving anymore. The question is, why am I surprised by this crass statement? She is a Tory when all said and done and it is abundantly clear that she and her party in government coalition have no clue as to what really affects many people in the UK. YES - many people are starving as they cannot afford to buy the basic essentials. YES - they are unable to pay the ridiculously high fuel costs imposed by the energy companies. 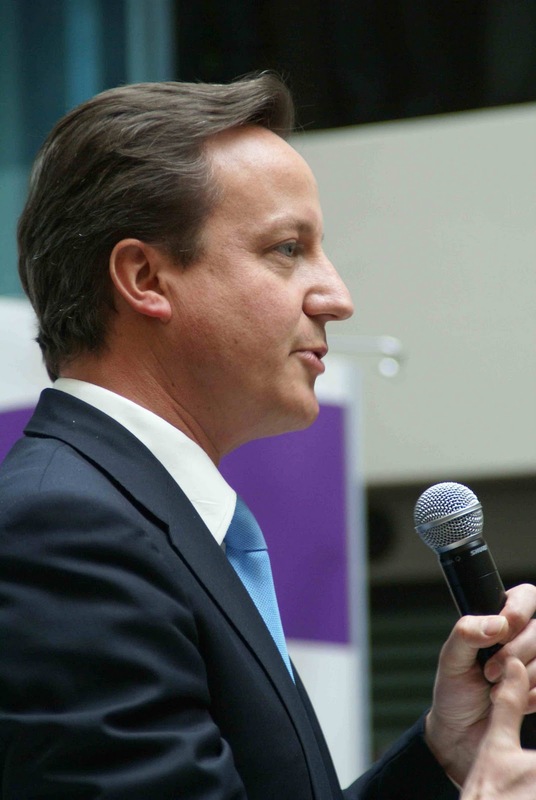 Prime Minister David Cameron and Energy secretary Chris Huhne went to the big 6 energy companies yesterday, to demand that prices be kept down. At the end of the meeting their advice was "shop around to find the best deals". In other words the energy giants told Cammy and his hanger-on to **** off! But what do we expect? Cammy and Co won't go cold, they'll still be feeding their faces and not giving a stuff about the less fortunate members of our society who will be freezing and starving. Shame on you Currie and Cameron - you and your political party should all be ashamed of yourselves. Well the UK jockey whip ban saga goes on. After the jocks threatened to go on strike yesterday (Monday), they sent a delegation made up from Frankie Dettori, Richard Hughes, Ryan Moore, AP McCoy, Professional Jockeys' Association chief executive Kevin Darley and trainer John Gosden, to meet with the British Horseracing Authority. After a meeting lasting an hour and a half, it was later announced that a review of the controversial new rules would be instigated with an intention to have the situation ironed out by Friday. Meanwhile apprentice jockey Kieren Fox was hit with his 2nd ban in a week by the stewards at Windsor. Stating that he rides for the love of the sport, he added that he is now seriously considering his future. At Pontefract, Mickey Fenton, Adrian Nicholls and Joe Fanning all received bans, all losing their riding fees and any share of the prize money as laid down in the controversial new rules. Fanning was aghast, saying that it is only the 3rd whip ban he has received in 21 years riding in the UK. Top jockey Richard Hughes has this evening received his 2nd five-day ban in a week for excessive use of the whip. 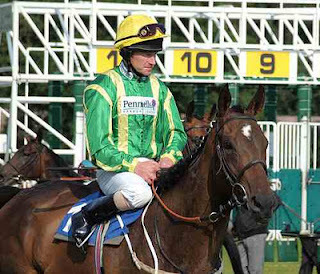 For a jockey who has always had the reputation of nursing horses along as opposed to riding them hard, it is almost unbelievable that he has been banned and fined again - especially as he has only received 1 previous ban in the last 3 years. He is so angry about the bans, he has relinquished his licence until such a time that the new rules, introduced just this week, are reviewed. We have jump action at Towcester and Ludlow today, while the flat season continues at Nottingham and this evening at Kempton Park. There is also a flat card at Navan in Ireland, but because of its enormous sized cards, I have left it well alone. 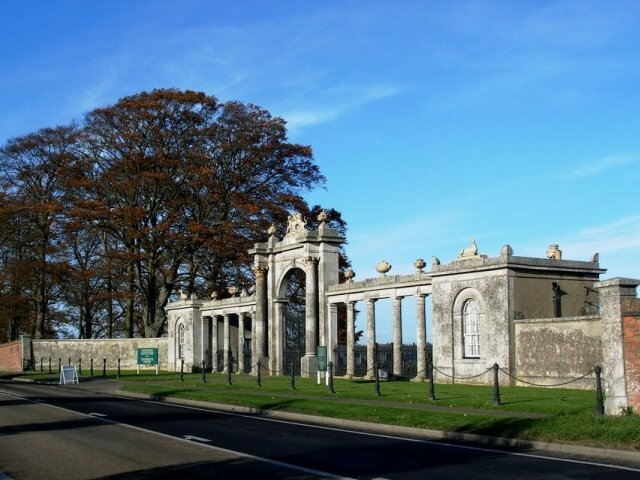 I used to love going to Towcester with its impressive gate at the entrance (image below). It got me thinking as to how long ago it was when I last ventured over there (is not that far from my home). I remember it was the day the Queen Mother passed away as the story broke on the radio while I was driving home. Upon checking on the net, I found that it was way back in March 2002 - I really must make a point of visiting there again soon. Today's racing fare is not particularly inspiring to be honest, but I have listed a few below to keep an eye on. Old lad KELTIC LORD (Towc 4.50), now 15 years young, has been finding things a bit tough of late, but in his day was pretty decent and in fact reached the frame only as far back as May. You never know, there may be life in the old boy yet. GREAT MATES (Ludlow 3.50) was previously trained by Paul Nicholls and Sophie Leech. Now having his 1st trot for David Pipe, it will be interesting to see if he maintains his old enthusiasm for the game. Were you ever teased for wearing glasses when at school? It seems the teasing or bullying still goes on. 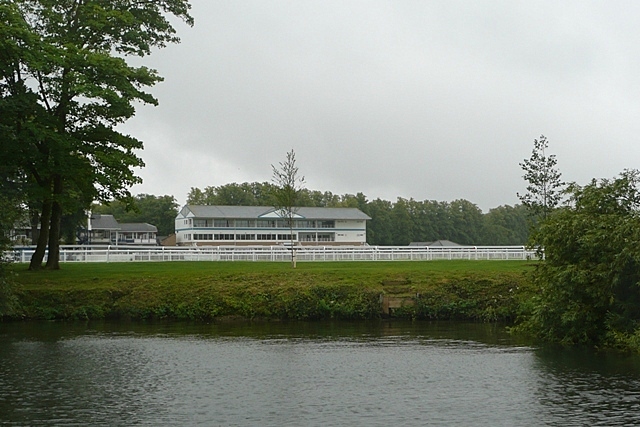 An interesting day of action on the level at Pontefract, Warwick and Windsor. At Ponte, I like CROWN COUNCIL in the 3.10 Even though he is at an all-time high level in the weights, this is a far easier task than he encountered previously at HQ. I think he can at least reach the frame here. At Warwick, looking at the form, GLEN MOSS in the 2.20 should win, but I have severe doubts about him, his attitude and the draw in 7 which is far from ideal. Unraced MOATAZ is worth watching in the market. In the 4.50 BOW RIVER ARCH should have come along in leaps and bounds after an impressive 3rd at Goodwood in June. 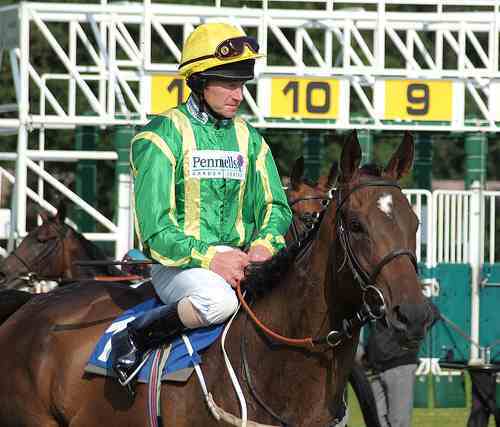 In the lucky last at 5.20, top weight HYGROVE WELSHLADY has been running well recently and goes down to a mark of 60. With young Brendan Powell in the plate, taking off another 5lbs, she could go rather well here. Lastly at Windsor - "down by the riverside" - I fancy AVON RIVER in the 4.00 (all these flowing waters and not a drop of alcohol to dilute!) The Hannon - Hughes combination can do little wrong at the moment and this is far easier than his previous wins. He won't be much of a price though, so either add him to multiple bets or just watch. In the recent past I have been acting as the Topic Editor for both Horse Racing and Boxing on www.suite101.com As of now I have stepped down from these roles so as to return to part-time undergraduate study. 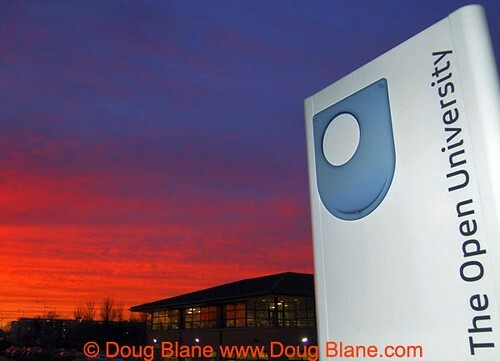 A few years back I started studying with the Open University here in the UK, but due to the pressure of many things, dropped out. Now with being able to shuffle a few things around, I intend to continue my studies, hopefully towards a BA/BSc Open Degree. 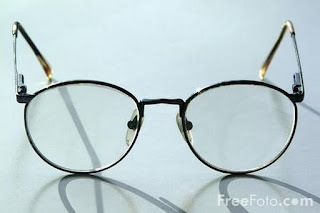 Although my writing on the likes of Suite101.com and Triond.com will be curtailed somewhat (if not totally when the hard work starts), I still intend to continue with this blog on a regular basis and you never know, I might start boring you all with snippets about UK Law, if you are really unlucky. 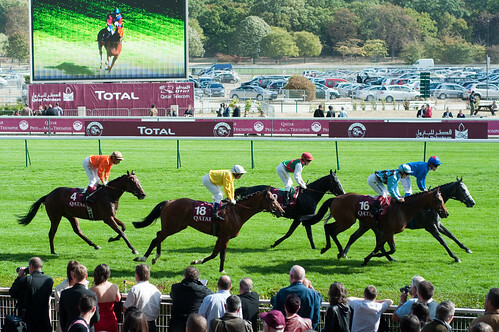 It is Qatar Prix de l'Arc de Triomphe day at Longchamp in Paris where 16 runners are declared to fight out the Championship of Europe. My thoughts go with the former Australian and now trained at Ballydoyle SO YOU THINK. I think he is a class apart from the rest and will win impressively.